Northern Lights College in room 100. 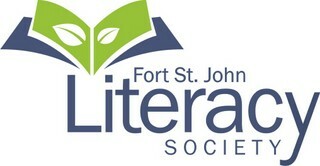 The Fort St. John Literacy is seeking an energetic and creative part time Literacy Program Coordinator to facilitate and expand literacy programs, workshops, and events. The successful candidate will recruit, train, and support volunteer tutors as well as assess the needs of both immigrant learners and Canadian born learners who are seeking to upgrade their basic literacy skills. They will be responsible for coordinating and implementing various literacy programs with a focus on our Community Adult Learning Program and Computer Skills Class. In addition, they will provide on-going support; assist with written reports, and literacy promotion through building positive relations in the community.